Outstanding views. Great location. Shame about the building work in front of the east block. Incredible resort that was perfectly maintained and amazingly friendly staff! Nestled on the beach, this Long Island apartment building is in a national park and 0.1 mi (0.1 km) from Palm Bay Beach. Great place to stay. Would definitely go back. Complimentry buggie was a lifesaver Apartment slighty rundown afew little things needing fixing but overall pleasent stay. You always said you would go on a dream holiday someday. Now, someday is here. But you don’t just want to dip your toe into the trip of a lifetime, you want to cannonball into the deep end. Go ahead, unplug and unwind in style. When you book one of our Whitsunday Islands holiday rentals, the ordinary is in the rearview. Instead of sharing your vacation with hundreds of hotel guests, you get to take advantage of all the space at your private apartment. You also get to enjoy all the amenities of a private residence for a truly unique and memorable stay. Why don’t you take off your shoes and settle in for a while? Your holiday just got upgraded. As much as you love your vacation rental, it’s always good to get out and explore to soak up Whitsunday Islands. Live like a local: Eat regional food, cheer on the home team, and visit the best cultural attractions in town. 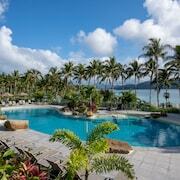 No matter the season, there is always something going on in Whitsunday Islands. Seeing all the best attractions is bound to make you fall in love with Whitsunday Islands. Who knows, you may even be tempted to extend your stay. There’s a reason home rentals are so popular here—after a long day of exploration, going back to your very own living room to stretch out is a dream come true. It’s your escape so why share it? You deserve your own slice of paradise. Booking your holiday rental on Expedia is simple and safe. Just pick your dates to search for the perfect property and book securely. We let you contact the property owner directly to make any special arrangements. All that’s left to do is show up with bells on and have a memorable vacation. 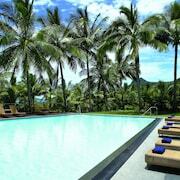 With all the amenities available in Whitsunday Islands short-term rentals, that won’t be hard to do.